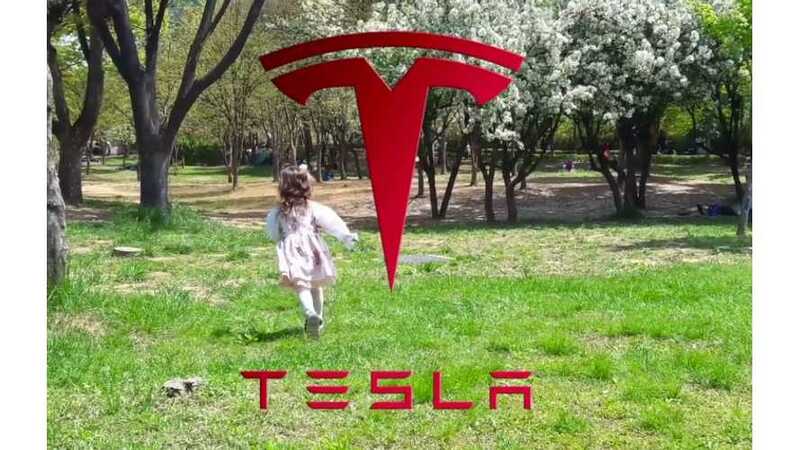 While Tesla doesn't advertise traditionally, fans have taken to helping out and/or showing off their efforts. Nonetheless, this is another outstanding ad. 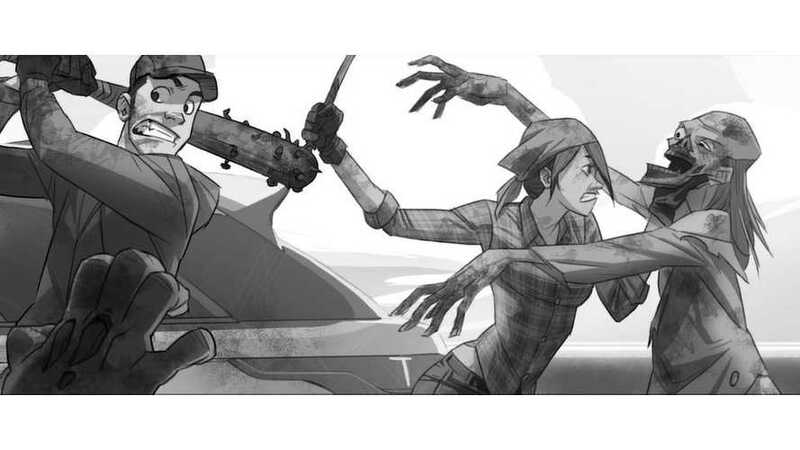 Project Loveday has started a campaign using Tesla and Zombies to open people's eyes to the benefits of electric car ownership and solar energy. 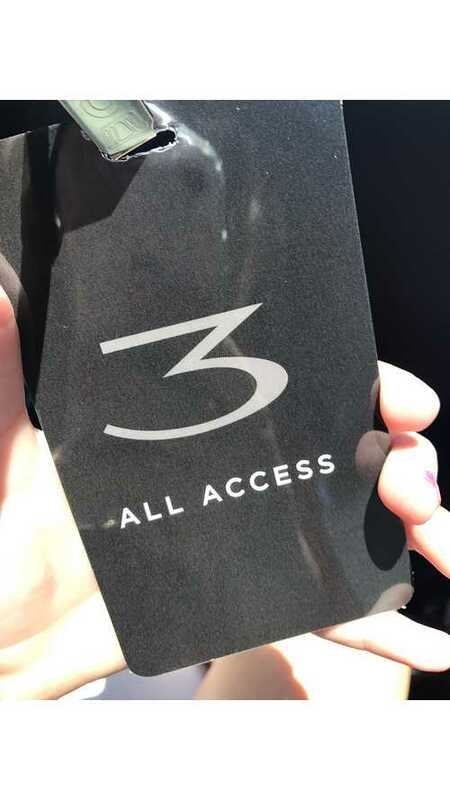 There are really no words fit to share the experience that was the Tesla Model 3 handover event and the culmination of Project Loveday, but it's worth a try. 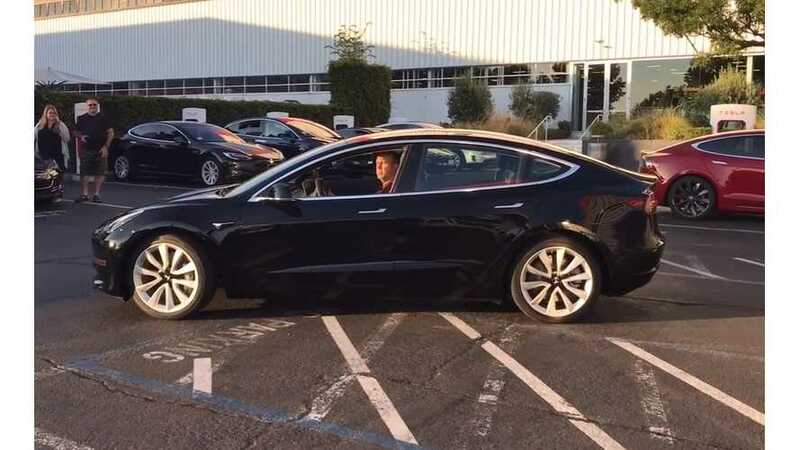 As the Tesla Model 3 handover event quickly approaches, what should we expect to learn? How will the event play out? What are the key questions? 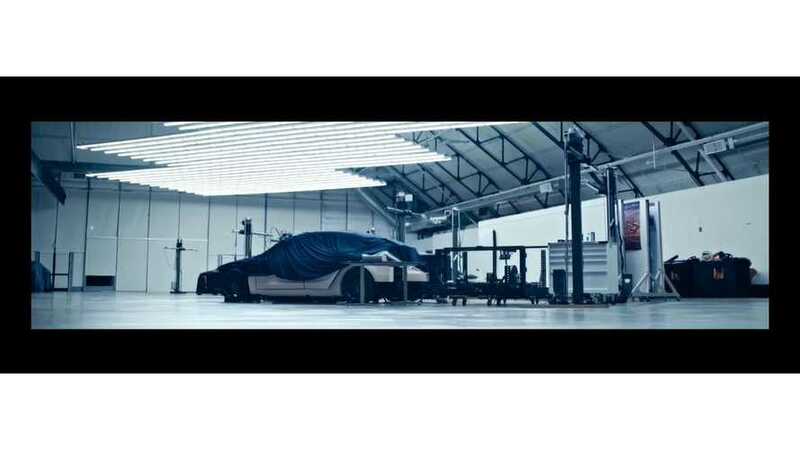 Popular tech-centered YouTuber Marques Brownlee (AKA MKBHD) gets his last minute Tesla Project Loveday video in and it's a good one. A final compilation of recent Project Loveday fan-made Tesla commercials for your viewing enjoyment. Get your Tesla ads in today, before it's too late. 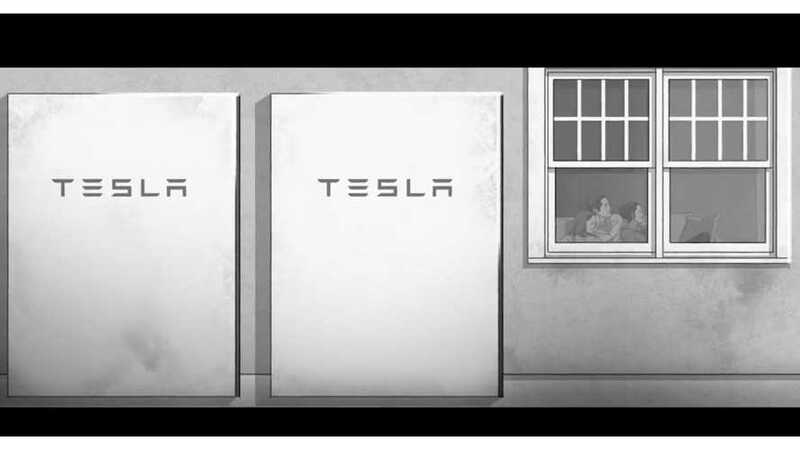 Satirical Stop Tesla Campaign Pops Up ... and it's epic! A collective group of oil barons is using the pull of Project Loveday to gain viewership of its videos and raise money to stop Tesla. 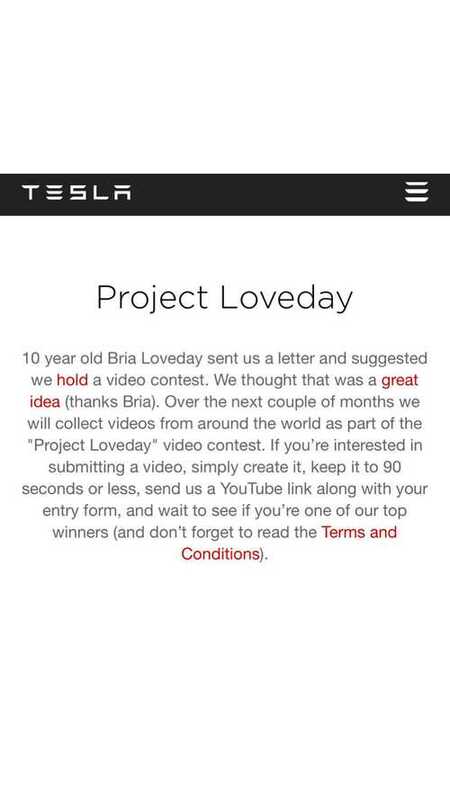 Tesla 'Project Loveday' submissions were set to close this weekend. 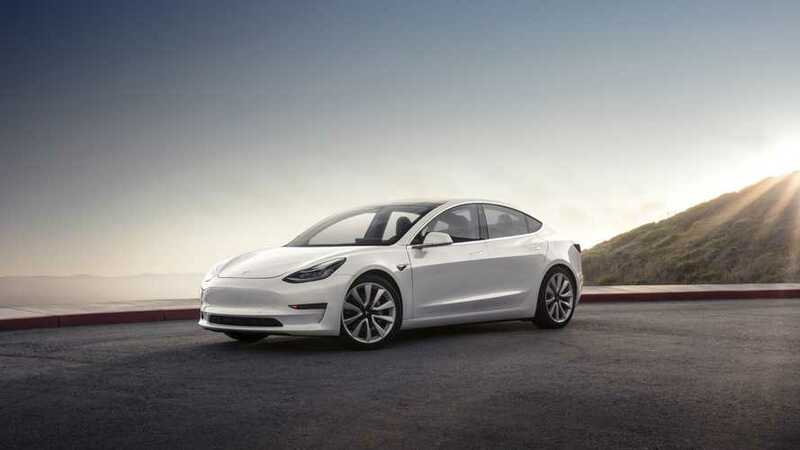 However, Tesla has extended the deadline another month. Let's check out some entries. 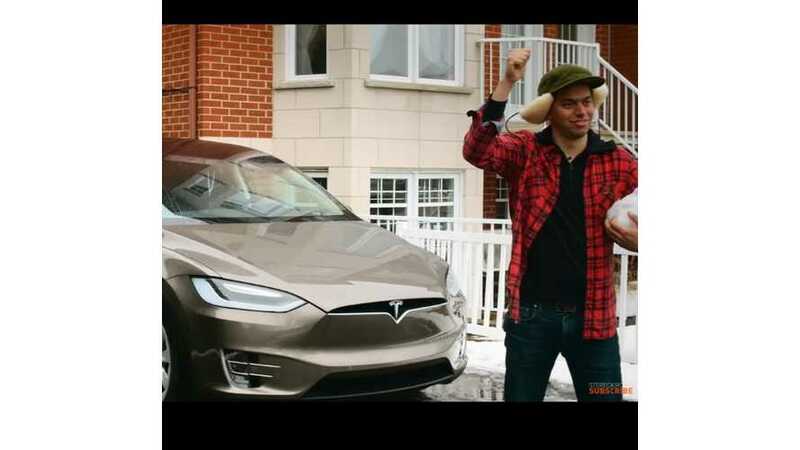 A recent Tesla commercial contest entry proves that humor might be the way to go to get the nod as the winning entry! Everything has finally calmed down over in Sterling Heights, MI, following the aftermath of Tesla CEO Elon Musk's viral response to the 5th grade girl's letter (Bria Loveday), and the launch of Project Loveday. However, the students at Graebner Elementary learned more than just how to write a letter, and the whole amazing experience unexpectedly turned into opportunistic advocacy. 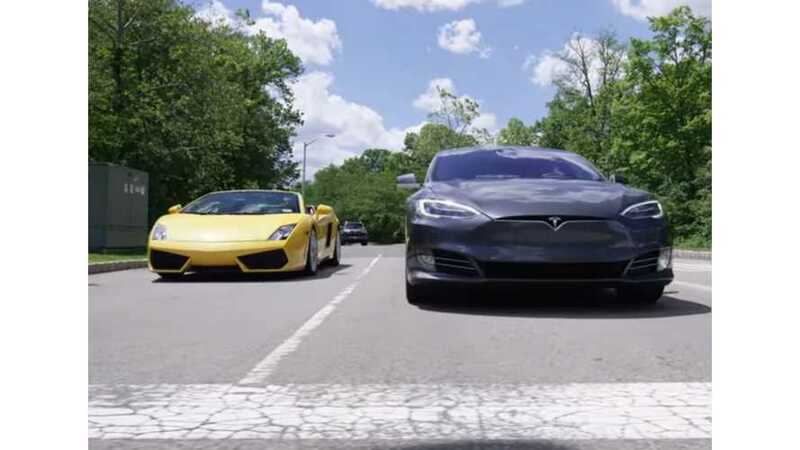 Tesla fans have been making "amateur" commercials for some time. 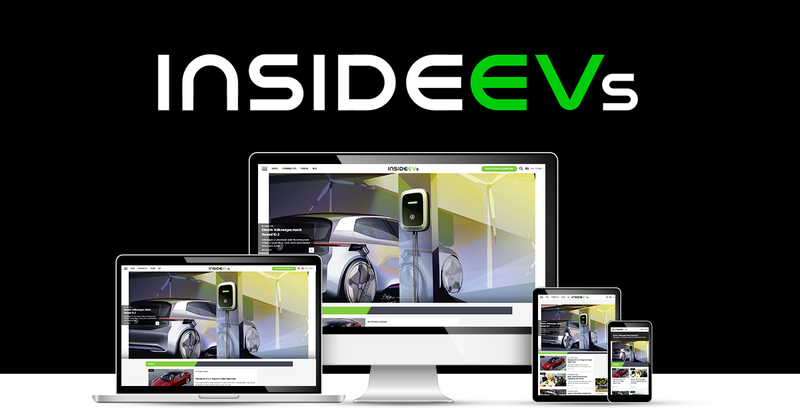 Now, they can enter Tesla's Project Loveday for a chance to win prizes. 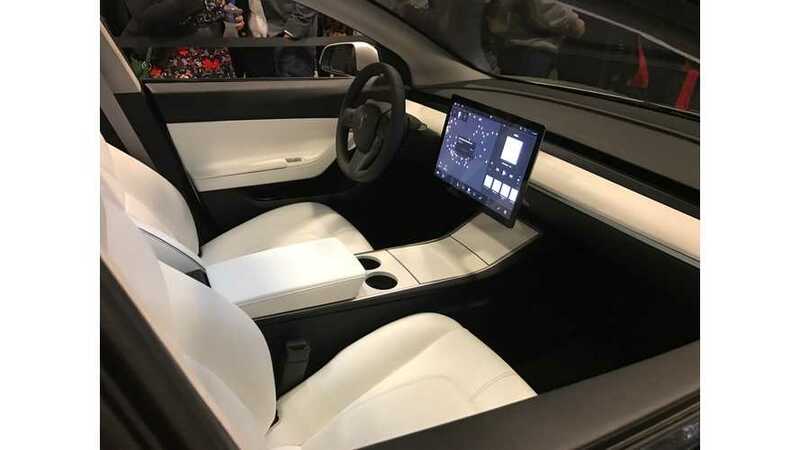 When the Tesla Model 3 was unveiled, there was little coverage of the interior. More specifically, we have no idea what the plan is for the instrument cluster. The prototypes not only seem to be missing a traditional dash display, speedometer, etc., but really, there is nothing visible there at all.